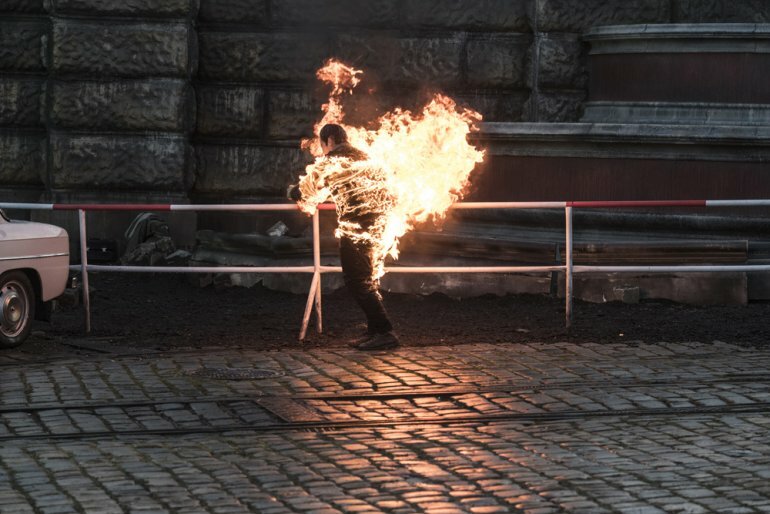 On 16 January 1969, the Prague philosophy student Jan Palach set himself on fire in Wenceslas Square to protest against the Soviet occupation of Czechoslovakia. He died three days later. He was 21 years old. Using available sources director Robert Sedlacek reconstructs the final months of Jan Palach´s life describing his path from an affectionate son, a devoted friend, a sensitive and thoughtful philosophy student to the Torch number 1. The resulting film is an impressive and atmospheric memento successfully portraying an uncompromising young man who brought the ultimate sacrifice in a hope to rouse the nation from lethargy.